The news of a new Skrillex track will always put a smile on your face, because he never fails to innovate and bring his own unique style in a fresh way every single time. 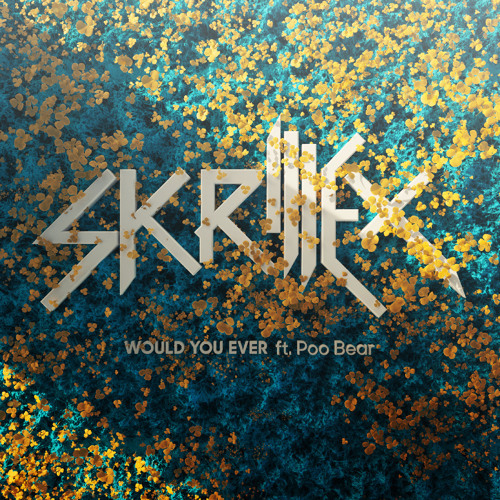 This is no less true than ever on his latest track with R&B singer Poo Bear, ‘Would You Ever‘. This Chill House track is reminiscent of Skrillex’s old school tracks such as ‘Make Things For A Smile‘ and ‘The Wind Blows‘, in the setting of a modern day bass focus as opposed to the electro vibes of those times. The incredibly solid bass lane is accented with vibrant and emotive high ends. Most notably for longtime fans, in the center of the drop sits his classic vocal chops that made his old music so happy and full of energy and life. This new track takes us all the way back to Skrillex’s earliest roots, which fans have been asking for for years. At the same time, the style is also not quite like anything we’ve seen from him in the past, still showing his constant and seemingly infinte progression forward as an artist. No doubt this track is more evidence of why he continues to be the most relevant and impactful name in EDM.